Ripping open a package with your teeth, playing sports, and eating ribs are everyday activities. Nonetheless, these could cause a chip in your tooth. Chipping your tooth might not cause pain, but the tooth will have to be fixed. In the event that you or a family member chip a tooth, then speak to a dentist in Pearland, TX for care. At Highland Dental Care and Ortho., our experienced team will perform a thorough dental examination to evaluate the chip and your teeth and after that, we provide a personalized treatment plan to revive your smile. Keep reading to find out about common ways teeth get chipped, what you need to do in case you or someone you know chips a tooth, ways your dentist might repair a chip, and also advice to prevent chipping your teeth. There are lots of ways you could chip your tooth, but a few of the most common are biting hard candy, a sports injury, and everyday accidents. The primary purpose of your teeth is to eat, therefore a common way to get a chip in your tooth is using your teeth for another reason. This might be using your teeth to open a bag, pry something apart, or other things that ought to be done with a tool instead of your teeth. Contact as well as non-contact sports present the chance for dental issues, such as chipped teeth. In the event that you aren't using a mouth guard when performing any activity, you are at higher danger of chipping your teeth. However careful you try to be, there'll always be unexpected injuries. Tripping can result in a chipped tooth. Automobile accidents can also give you a chipped tooth. Biting on something hard is a way to get a chip in your tooth. Often, people bite hard candies, a piece of ice, and meat on the bone (chicken wings or ribs). Although corn on the cob might appear tender, biting the cob is a way to chip your tooth. Once you or somebody in your household chips a tooth, then get in touch with your dentist in Pearland, TX to schedule a visit. Unless you are in pain, then you most likely don't require emergency attention and can wait for a couple of days to see your dentist. As you wait, make certain to keep your mouth clean using twice daily flossing and brushing. Make sure you remove anything that can get trapped in the edge of the chipped tooth. You might also need to rinse with mouthwash to prevent germs from getting into your dental pulp. In case you have any swelling or discomfort, take a pain reliever and then apply a compress to your cheek. Even in the event that you don't feel any discomfort and you're okay with a chipped tooth, you should still schedule an exam with a dental practitioner. A chip may weaken your tooth and put you at higher risk for an infection and cavities. 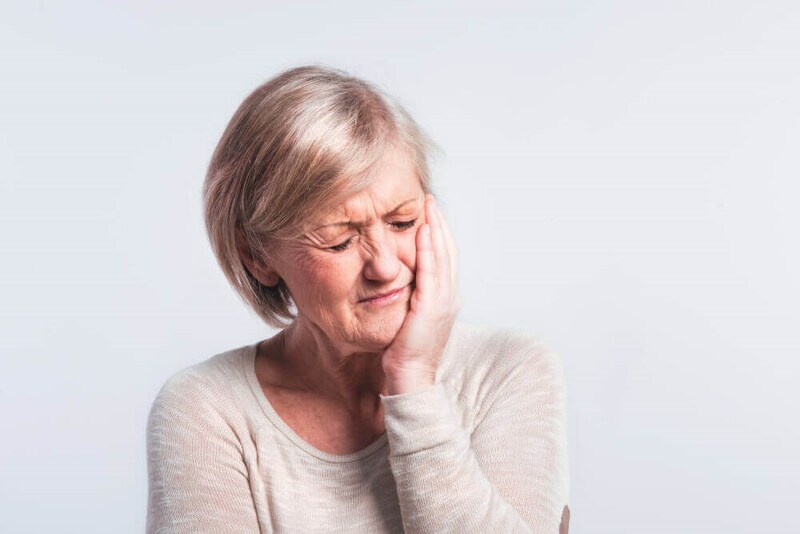 Treatment choices for a tooth with a chip are often easy and quick; however, a chipped tooth that doesn't get treated may result in pain and lengthier treatments, such as an extraction or root canal. To pick the right treatment, your dentist will carry out a comprehensive dental examination. They might use electronic x-rays to look at the extent of the damage then they can suggest the right procedure. Based upon the size and seriousness of your chip, they might suggest veneers, bonding, or even a crown. A crown could be suggested in case you chip a bigger part of your tooth. A crown is made custom to go over the whole tooth, which provides more protection and strength in comparison to other choices. Based on which tooth is chipped, you might choose a crown that is made from metal, ceramic, or ceramic over metal. When a chipped tooth isn't a serious issue, but you don't like how your smile seem uneven, you might want cosmetic veneers. Thin shells secured to your teeth, dental veneers are custom designed to help your teeth look much more attractive. With proper maintenance, veneers normally last longer than a bonding treatment, which means you could think about veneers in case you are tired of getting your bonding re-applied. To fix tiny chips and restore your tooth, bonding might be performed. Employing the exact same composite resin used in dental fillings, a dental practitioner puts the material on the tooth and fills in the missing enamel. When the resin is set using a special light, the tooth will be polished for a finish that's smooth and natural-looking. Even though it isn't possible to prevent injuries in your life, there are a number of things that may decrease your chance of getting a chipped tooth. Don't use your teeth for anything other than eating. Taking the time to find scissors may wind up saving you a great deal of trouble if you don't get a chipped tooth tearing open something. Don't chew on ice and hard candy. Cut corn from the cob and meat off the bone before you enjoy it. Keep your teeth healthy and strong by flossing and brushing daily. You also ought to schedule visits at a dentist in Pearland, TX for dental health examinations as well as cleanings. Treating any new problems, such as cavities, will keep your teeth strong. In case you or your kid plays sports, then talk to your dentist about getting an athletic mouth guard. At Highland Dental Care and Ortho., we provide custom mouth guards made from high-quality materials to protect your gums and teeth when you're playing sports. In the event that you or your kid have chipped a tooth, then call a dentist in Pearland, TX to schedule a consultation. At Highland Dental Care and Ortho., we will repair your chipped tooth with cosmetic bonding, cosmetic veneers, or a crown. Whichever treatment you pick, we will personalize your plan to meet your wants.